My last post was one month ago, at Segullah. A brief listing of my treasures. My gratitudes. An attempt to be aware of this wondrous life. From its smallest snow-crystalled beauties to the greatest and grandest gifts of children, family, and the Lord himself. Written without the slightest intimation that one of our treasures would slip from us just hours after my posting. On November 25th, 2016, Doug’s little brother, Steve, passed away in his sleep. Steven Garth Arveseth. The youngest of six brothers. Nicknamed “the favorite” because, he truly was. Brother, son, husband, father of three young children, friend, brilliant technical accounting mind. Gone. And for weeks we’ve been trying to pick ourselves up from the blow of it. Usually I have words. Words are how I process, how I feel, how I make sense of the world. And while we have been blessed with exquisite insight, comfort, even divine teaching through this sudden and painful loss, I am still unable to find my words. So, as we do in hard times, I will lean on another. 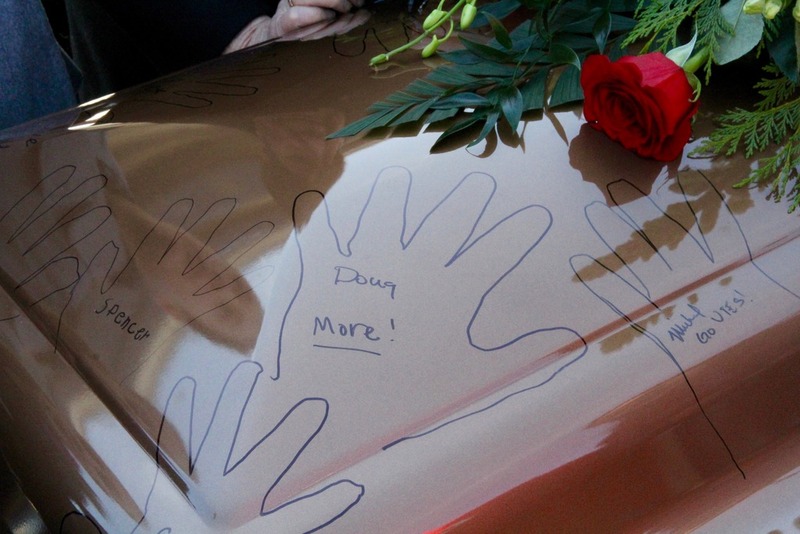 Doug will share with you some of what he said at Steven’s funeral on Monday. I hope in his words you will feel the unbreakable bond of family, of brothers who would do anything for each other. I also hope you will feel the Holy Ghost witness to you of that unspeakable gift Paul wrote about. The gift of Christ’s Atonement. The scope of it, the depth of it. I am positive we simply cannot comprehend all that it covers. All that it does. But I trust in it. And I trust our Lord Jesus. That He has every magnificent capability to rescue, restore, and make right. If we let Him. I posted Doug’s words at Segullah yesterday. He spoke directly to Steven’s children. And taught us that instead of Goodbye, we will say, More. Because we will have more of Steven. More of his laughter, his teasing, his teaching, and his smile. More joy. More light. More love. More forgiveness. This Christmas we told the kids, it is enough that we have each other. We haven’t done our usual traditions. Doug and I haven’t had much time to shop. There will be only a few presents under the tree. But we have each other. And we have Jesus. And in that there is joy. In that there is peace. Merry Christmas dearest friends and readers. So many of you have mourned with us, mailed us cards, texted, or shown up on our doorstep. You have loved us through this sorrow. And your love has held us. Joyous Christmas to each of you. In the midst of this sad event, thank you for telling about "more". I bet a lot of families, including us, will be using this term instead of good-bye. Even two months out this still brings me to tears. Miss Stevie so much!